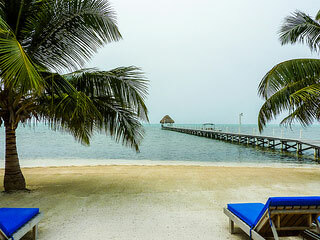 Most expats who consider moving to Belize dream of living near the Caribbean Sea on a beach. 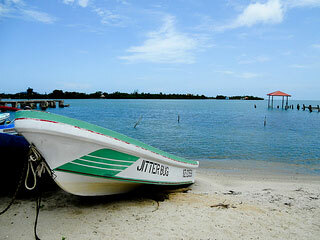 Fortunately for them, Belize offers several beach lifestyle options. 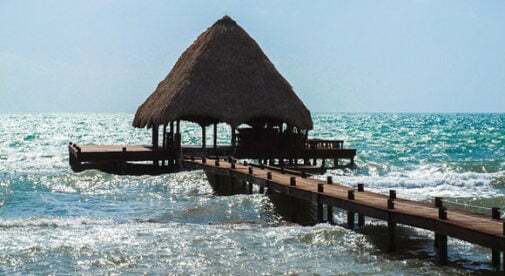 Right now, the three most popular beach areas expats settle are Ambergris Caye, Caye Caulker, and the Placencia Peninsula. Ambergris Caye is the island that I’ve called home for the past six years—and I’m not the only one who has discovered its charms. For two years running Trip Advisor members have voted Ambergris Caye their favorite vacation island. But what’s it like to live fulltime in this hip, happening, tourist haven? Few expats tire of the aquamarine Caribbean seascape, the vibrant marine life, and the protective barrier reef that’s a half-mile offshore. But San Pedro Town can be frenetic. This colorful, active little town is definitely evolving and there are pros and cons related to Ambergris Caye’s growth. But you need only live two miles out of town to find a peaceful environment. Ambergris Caye is a good-size island. It’s 25 miles long and has almost 20,000 residents. That translates to more options. Expats who settle here can expect a comfortable lifestyle with a surprising number of amenities. You’ll find quality fresh fish, chicken, meat, diverse produce, fine wines, fresh coffee beans, and specialty items not available in most of Belize. There are plenty of options for activities. In addition to outdoor water sports, there are multiple yoga studios, gyms, massage spas, sailing clubs, live music scenes, karaoke competitions, and festivals…and many options for volunteer organizations and churches. The majority of expats live in an established condo community. That allows them to lock up and take off. Beach houses tend to be pricey (though they’re still much more affordable than on other Caribbean vacation hotspots). Prices for certain goods are steep here when compared to prices on the mainland, due to the transport cost. But a couple can get by on $1,650 per month (including rent), if they’re careful. And, on the positive side, a golf cart is much less expensive than a car—to buy and maintain. Caye Caulker is small. It’s only five miles long and has 1,300 residents. Its colorful, charming village has a relaxed, artistic vibe. It reminds me of California’s 1970s hippie communities. Expats eat out often here, especially since the restaurant fare is decent and reasonably priced. But be advised: there aren’t many options in terms of grocery or specialty food stores. 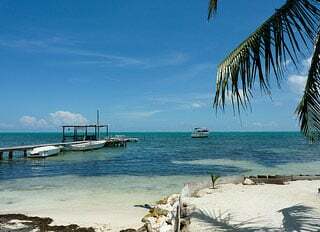 The cost of living on Caye Caulker is lower than on Ambergris Caye. A number of expats I’ve spoken to tell me that they spend less than $1,000 a month, exclusive of rent. Rents as low as $400 a month can still be found here. Placencia is a haven for beach connoisseurs. Kick off your flip flops and you can walk for miles along the wide sand beach. The peninsula is 16 miles long, with the Caribbean Sea to the east, and the Placencia lagoon to the west. The Maya mountains provide a gorgeous backdrop for the tranquil lagoon. But the peninsula is also close to all the diverse activities that the mainland offers. You’ll easily be able to reach them with a car. Placencia is 20 miles from the reef, so it takes an hour or so to reach the reef via boat. But it also has much deeper waters than that of the cayes, which means that you’ll find deeper marinas and diverse boating options on the peninsula. It’s a great place for those committed to boating. The three primary villages include Maya Beach, Seine Bight, and Placencia Village, and you’ll find a good mix of expats in those places. We’ve met several Europeans who’ve opened restaurants and businesses, as well as Americans and Canadians. The peninsula has experienced fast-paced growth, especially since the road was paved in 2010. Still, there are currently only about 3,500 residents within the three main towns, so the peninsula has plenty of room to expand. More businesses are opening as expats flock to this area, which means Placencia is amenity-rich. You’ll find yoga studios, beauty spas, massage studios, and even a bowling alley! On the Placencia peninsula you’ll also have your choice of hip restaurants, trendy bars, and cafes. A couple can live comfortably on $1,550 a month here, if they find a reasonably priced rental and are not too extravagant. Spend $500 a month more and you could live very well.